For years, Captain Towing has been providing the best and most reliable tow dolly services in Dallas TX. We are a well established and growing roadside assistance provider featuring a team of highly efficient customer support. Our goal is to help as many people needing assistance on the road as possible. Our experienced technicians are strategically located across the city. They are friendly and professional and are ready to provide you with tow dolly services 24 hours a day, 7 days a week through the entire year. So if you ever need tow dolly services or any other roadside assistance in Dallas, you can rely on a 24/7 tow dolly services Dallas TX. At any time during your trip, it is sometimes unavoidable for tires to blow up. These events are unpredictable but thankfully, you can rely on our crew to arrive in your location in 30 minutes to fix the problem for you. Just give us a call and we will do the job the shortest time guaranteed. You can have a flat tire due to wear and tear or deep craters on the road. It is often a pain to change a damaged tire especially when you’re trying to get to an important occasion. It’s also more dangerous at night with low visibility. But our pros are here to the rescue with your much needed spare tire. Our comprehensive roadside assistance solutions are available 24/7. Whatever you might need in our wide range of services including flatbed towing, motorcycle towing, wrecker services, or on and off road twitching, you can rely on us no matter what time of the day or night. Your safety is our utmost concern and we take our good reputation seriously so you can expect the best service and nothing less. We understand that emergencies are unexpected and it’s not something that anybody enjoys so we give you the best prices you can find in Dallas. We are the most reasonably priced tow dolly services Dallas and we guarantee to pick up your vehicle on time and have it delivered as expected, on schedule. To make everything convenient and hassle free for you, we set up a direct billing payment method and it is extremely affordable. You don’t have to worry about draining your savings in case you get into an emergency. We go above and beyond your expectations here at Captain Towing to give you the best and most reliable tow dolly services. 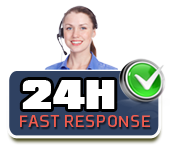 We are stringent in punctuality and you can expect to see the friendliest faces coming to your aid within minutes. We want to make a difference with our prompt communication to assist you with just about anything you need on the road. Our crew of highly professional and committed experts will calculate your distance to give you the best guaranteed price rate. You will receive a personalized and detailed plan that is appropriate to your budget. We have a strong social media presence and you can connect to our community on Facebook and Twitter where you will be updated with discounts on our already affordable services and company news. Whether you need to recharge or replace a dead battery, jumpstart your vehicle, or need to refill your empty gas tank, you can count on our 24/7 tow dolly services Dallas TX. So the next time you are in the Dallas TX area and need any type of assistance like tow dolly services, just dial the number and we will be on our way to you. That is the most that you will ever have to do. Just give us a call and we will be there in a guaranteed maximum of 30 minutes. Captain Towing is the most affordable and reliable tow dolly services in Dallas TX so keep us in mind whenever you are on the road.